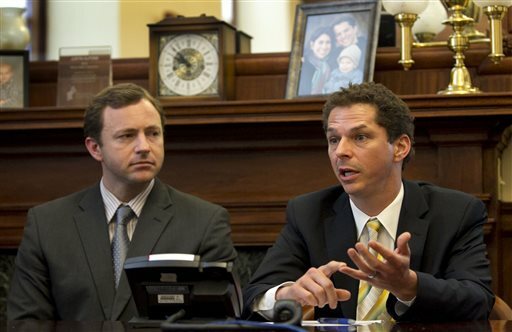 In early January, Senate President Justin Alfond and Speaker of the House Mark Eves sent a letter requesting that Maine’s Attorney General Janet Mills and her office look into the allegations of widespread EBT fraud put forth by Governor Paul LePage. In the letter, they requested that the Attorney General review, and if necessary prosecute, the governors allegations of fraud and abuse in Maine’s anti-poverty programs. Maine Democrats are committed to ensuring that all public dollars are used effectively, efficiently and for the purposes for which they are intended. This is especially true with respect to anti-poverty programs designed to help struggling families get back on their feet again. Abuse of the system, whether perpetrated by recipients, businesses or health care providers that receive these dollars, cannot be tolerated and must be stopped. Democrats believe fraud should be prosecuted not politicized. We must focus on real solutions to the serious problem of poverty and unemployment in our state. On Monday, Mills sent a letter back to the Democratic leaders and minced no words in how she views the Governor’s recent tirades against EBT fraudulent users, which his own released data showed to have a scant 0.2% fraud rate- ignoring the fact that the remaining 99.8% rate of usage is completely legitimate- as agreeing with the Democrats’ previous assertion that the Governor’s focus on such a small percentage of possible fraud could be politically motivated. What has yet to be considered by any public officials yet are such reasonable and legitimate possibilities as employees on assistance might be withdrawing cash at their place of employment to pay for gasoline to get back and forth to work. It is not unreasonable to consider that employees at “strip clubs, bars and smoke shops” are making minimum or lower wages than most workers. DA Maeghan Maloney, AG Janet Mills and Sec. 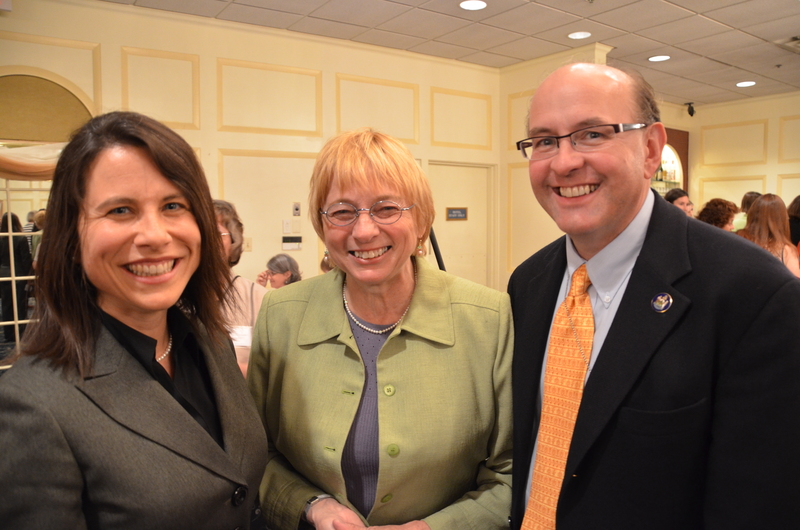 of State Matt Dunlap at EmergeMaine’s 2013 naming of Mills as Woman of the Year. As for the Governor’s “46 states” statistic… has anyone considered that maybe those are some of Maine’s currently enlisted military families, stationed elsewhere? Last year, it was reportedthat military families nationwide redeemed $100 million in SNAP benefits- yet that part of the discussion has yet to be had locally or looked into as an explanation of why Maine EBT cards have been used in almost every state, yet been part of such a tiny overall number.